October has whizzed by, and that makes me a little sad, October is the last month of semi decent daylight hours, soon we will be in the depths of dark mornings and even darker evenings, plus it starts getting less acceptable to have pumpkins as decoration in your house. 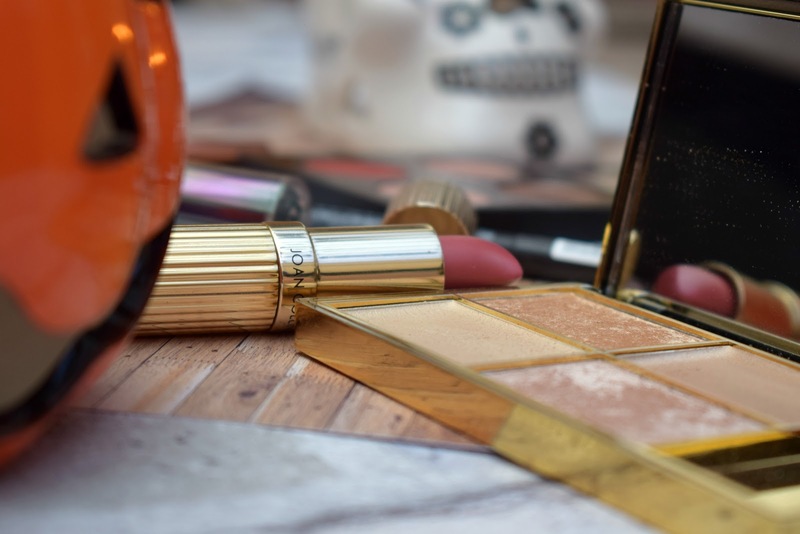 Anyway onto this months favourite makeup bits, those products I have found myself repeatedly reaching for in the mornings. First up I'm gonna talk eyes, and this month I have been using some eyeshadows that have been buried in the depths of my makeup collection for quite a while, until recently when I rediscovered them, I was as excited as when you move round a kids toy box and they find something "new" and play with it for hours!! Now my Mac quad is perfect for this time of the year as I have filled it with warm tones with a little bit of sparkle, I have Woodwinked, All that glitters, Coppering and Naked lunch, and by no coincidence they work pretty well with my Rosie for autograph eyeshadow stick a creamy eyeshadow that looks stunning on its own or as a base to build on. Sticking with the eyes I couldn't not add in Urban Decays trouble maker* mascara as I have been using it loads this month, I love how full my lashes look when I use it. When it comes to brows, if you are a regular reader this will come as no surprise, if it does come as a surprise I suggest you follow me at once, so you don't miss out on other interesting details about my eyebrows!! Revlon colorstay brow pencil in soft black is my go to, my number one, my numero uno, you get the picture. 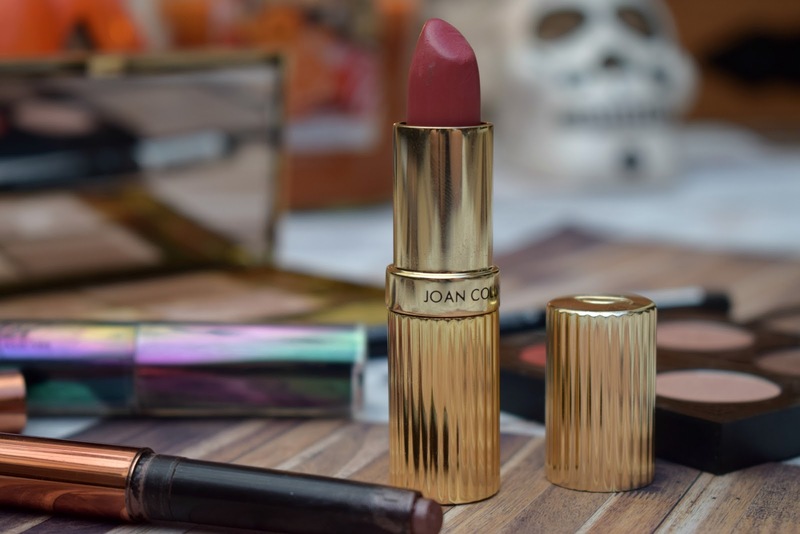 I have been using a few different lippies this month due to the change in seasons but I think my most worn is Joan Collins Marilyn* a gorgeous Autumnal shade that's not to in your face and comfortable on the lips. 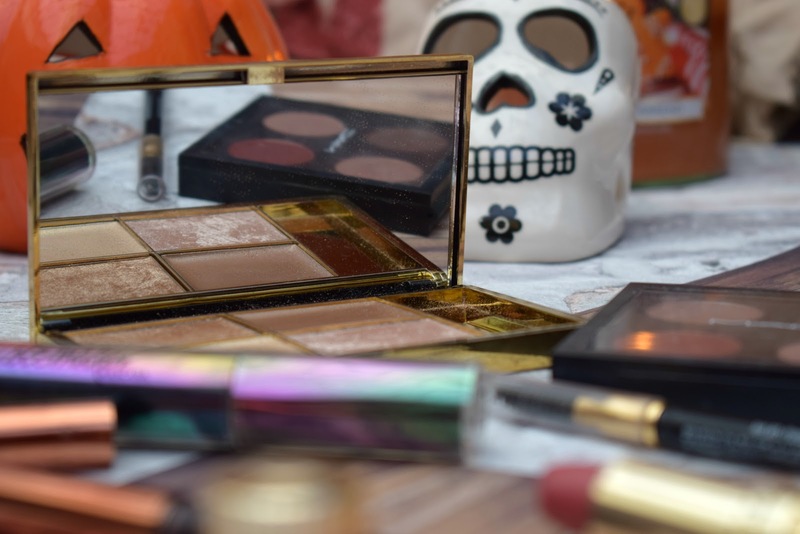 Lastly, I know, there have been a few things this month, well done for sticking around till the end my highlighter of choice this month has been my Cleopatra's kiss palette from Sleek, I am really into goldy highlighters at the mo. If you fancy you can read full reviews of Troublemaker and the Colorstay brow pencil by clicking the highlighted words. 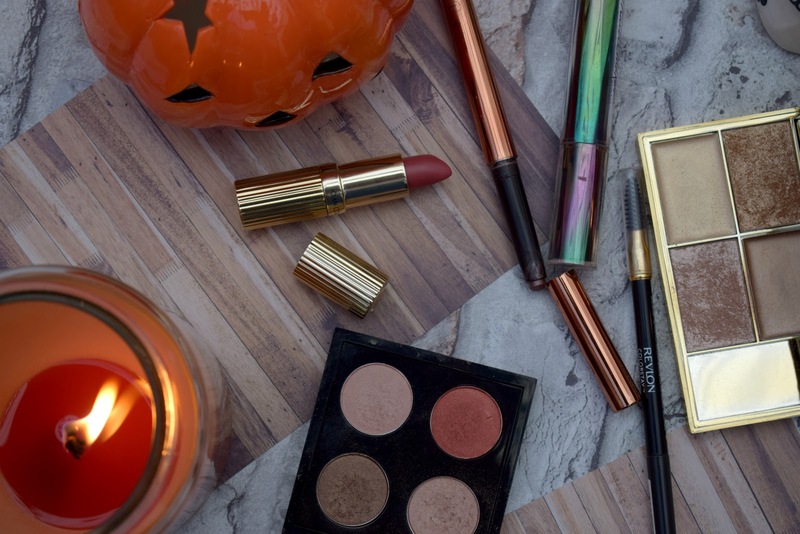 So that concludes October's favourites, what have you been loving this month? Hiiii....Kate. 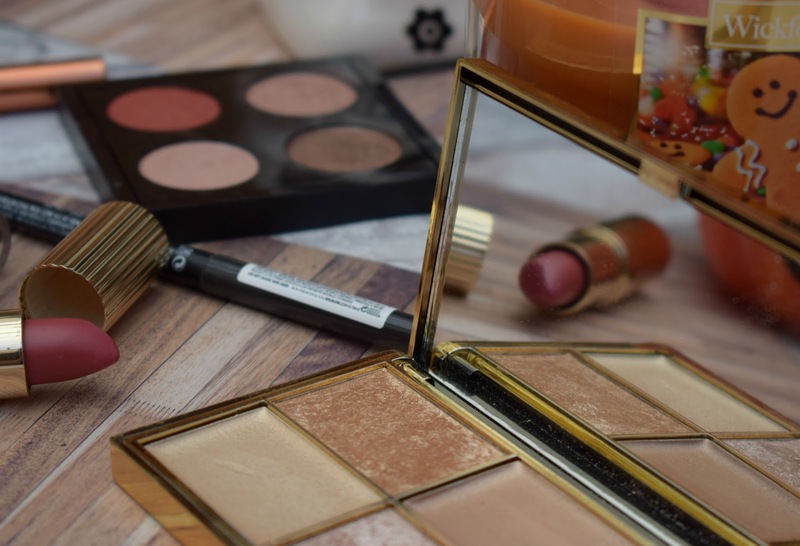 Such a great beauty product's collection. 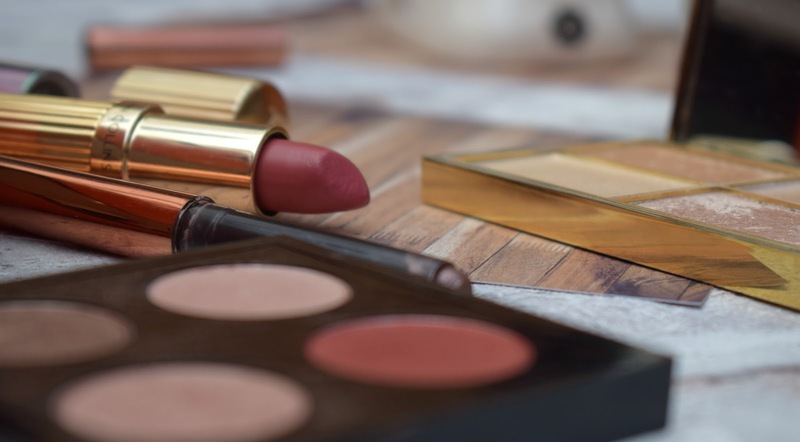 Specially Lip color..It looks very good in autumn..and also gives fresh autumn look..